What to Eat, See and Do - 48 Hours in Brighton! Brighton is one of Britain’s most colourful cities, bursting at the seams with fantastic food, culture and history. If you’ve only 48 hours to spend in this beautiful beach-side location, be sure to spend your time wisely. 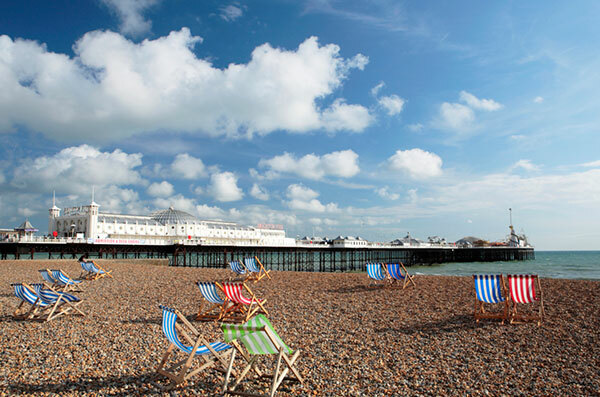 Here are eight fun-filled activities to cram into your two days in Brighton. Get your trip off to a great start by tucking into a hearty breakfast at Compass Point Eatery. 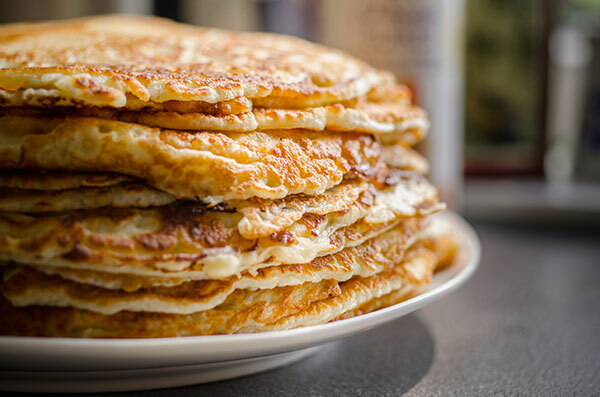 With towers of pancakes drizzled in maple syrup, delectable veggie breakfasts and homemade oatmeal on the menu, there’s a breakfast to suit everyone. Don’t leave without trying the Oreo milkshake. A word of warning; Compass Point gets busy, so book a table in advance. Roll out of bed and enjoy a lazy stroll to the Compass Point Eatery – Jurys Inn Brighton Waterfront is only a short walk away. Uncover the best of the city, with the help of those who know Brighton like the back of their hand, when you take a walking tour. 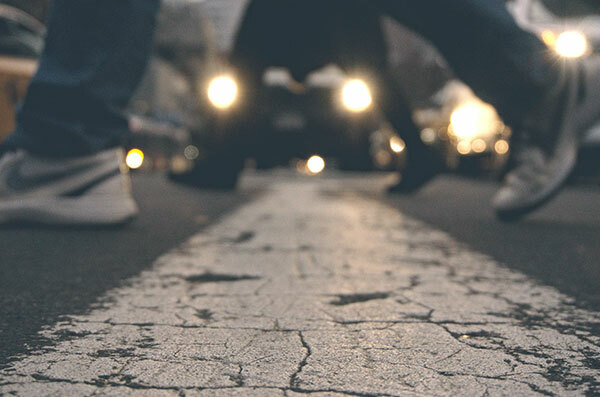 There are a whole host of different tours to choose from to suit your sightseeing preferences, from traditional heritage tours and spooky ghost walks to tours of the best foodie spots in the city. Discover what resides in the deepest depths of the ocean, no scuba gear required, with a trip to SEA LIFE Brighton. You can catch a glimpse of over 3,500 sea creatures across its many aquarium zones, including sharks, turtles and tropical fish. It’s the perfect activity for all the family. You can’t miss the world’s tallest moving observation tower; British Airways i360. From the observational pod at 138 metres high, you’ll witness phenomenal 360° views of the beautiful South Coast. Celebrate the occasion with a cold glass of fizz at the Nyetimber Sky Bar and toast to an amazing trip. Brighton’s vibrant and exciting history is best captured by the exotic Royal Pavilion. Situated at the very heart of the city, the Royal Pavilion was originally built as a seaside pleasure palace and royal residence for King George IV, who fell in love with Brighton back in the late 1700s. Rebuilt in the 19th century by famous architect John Nash, the Pavilion exhibits both classical and Indian designs for you to admire. Get to know Brighton by wandering to the city’s historic quarter and shop til’ you drop along the colourful Brighton Lanes. Its narrow streets and twisting alleyways boast an excellent choice of bohemian boutiques, designer shops, quirky cafes and live music for you to explore. Chocoholics – satiate your sweet tooth at the fabulous Choccywoccydoodah and indulge in tasty chocolate cake or two. The best thing about Brighton is that it’s by the sea. 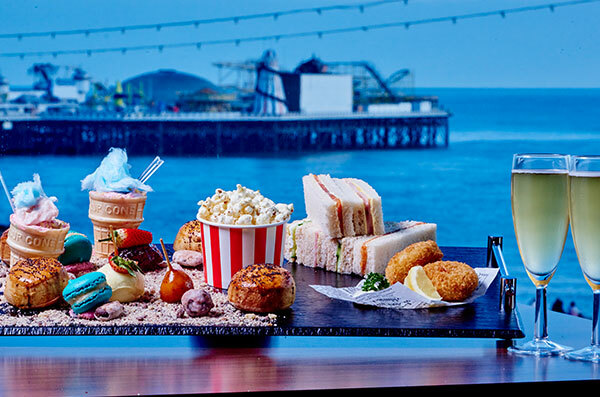 So, if you’re looking for a bite to eat, treat yourself and a friend to afternoon tea for two at the delightful seafront restaurant; Sea Room. You can while away the hours eating delicious savouries, scones and cakes. Watch the sun go down and bask in Brighton’s dramatic coastline from Brighton Palace Pier. The Grade II listed landmark has been a source of fun and entertainment since it first opened to the public in 1899. Tuck into a generous portion of fish and chips and lose yourself in the pleasure pier’s iconic bright lights, fairground rides and amusements. We hope you have an amazing time in Brighton. Ensure a relaxing and comfortable trip by booking a room at Jurys Inn Brighton.